For as long as I can remember, I’ve dreamed of visiting far off places. I think it might have come from growing up by the ocean. I’d gaze out over the infinite sea, and like many others before me, wonder what lay on the other side of the horizon. But for years, I worked a job that required me to stay in one place, only granting vacations a couple of weeks per year. If you also have a wanderlusting heart, you know that going into the same office day in and day out can feel almost painful. That’s why I set my sights on a location-independent job that would enable my traveling, rather than be an obstacle to it. Now that I’m a writer, I’ve worked from all over the world, including Thailand, Vietnam, Spain, France, and Ireland. I learned how to become a digital nomad through trial and error, but there are tried-and-true ways to achieve this lifestyle. If you’re ready to turn your digital nomad daydreams into a reality, read on to learn how to become a digital nomad — and start indulging your passion for travel whenever you want. 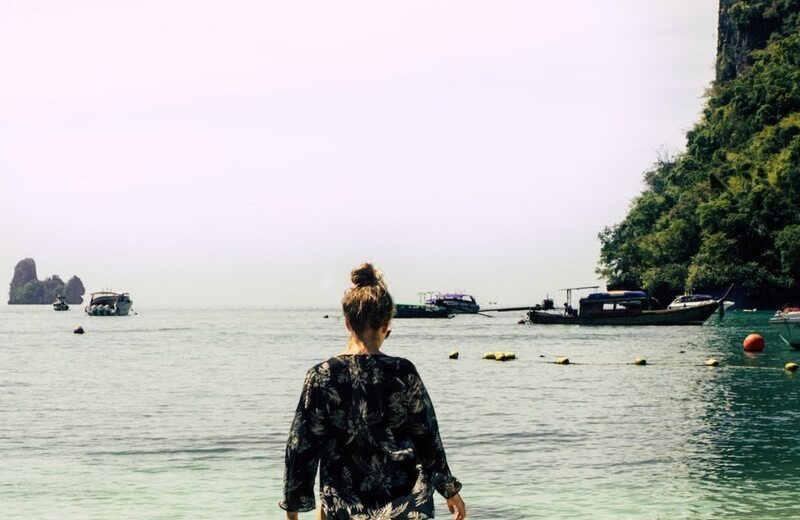 Before exploring how to become a digital nomad, let’s reflect on what digital nomadism is. Digital nomads typically work online, leveraging technology to make an income without being tied to a location. This work could involve anything from freelancing to online consulting to working a full-time job with a remote company. 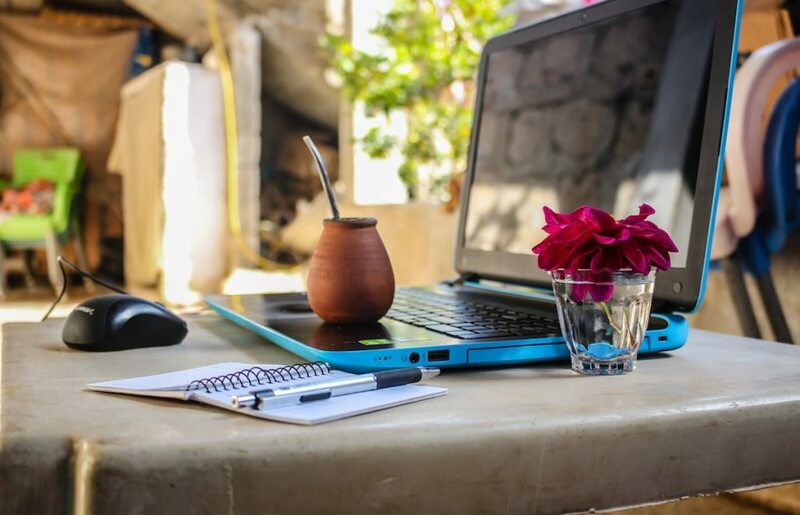 Some popular digital nomad jobs are writer, software engineer, and online ESL teacher, but there are tons of possibilities when it comes to making money online. Once you’ve secured your income, you can take advantage of your location independence by traveling from place to place. You might prefer to live long-term somewhere before moving somewhere new, or you could hop around and fill up your passport with stamps. Digital nomadism doesn’t just indulge your desire to see the world. It can also be a financially savvy lifestyle, especially if you make money in a relatively strong currency and live somewhere with a low cost of living. Some nomads congregate in popular digital nomad cities like Chiang Mai, Bali, and Lisbon. Others stay closer to home, trying out different cities in the U.S. rather than going international. Whatever your travel style, the point is you can work from anywhere as a digital nomad. You’re able to support yourself financially while working from wherever you want. You might still collaborate with colleagues, consult with clients, or teach students, but you’ll do so through Gmail, Skype, Zoom, Whatsapp, or another online communication platform, rather than in-person. At first, all this freedom might feel unusual, challenging, or too good to be true, but trust me, you’ll learn to love it! There’s no single answer to the question of how to become a digital nomad. Digital nomads tend to love variety and novelty, and their choices of careers and lifestyle reflect that. And as technology develops at a rapid pace — and more workplaces become remote — your options for making money outside of an office will only increase. But with all the possibilities, there are still some pieces of advice that will help anyone become a digital nomad, regardless of their dream career or lifestyle. Here are the top six. You might be dreaming of the white sand beaches of southern Thailand or the soaring skyscrapers of Hong Kong, but you can’t turn those travel dreams into a reality without money to pay for tickets, lodging, and food. To become a digital nomad, you need a job — or several jobs — you can perform right from your computer. And to make yourself competitive for an online job, you’ll need in-demand skills you can monetize. Now, before assuming you need to head back to school, consider what skills you already have from your educational background or professional experience. If you have a background in marketing, for instance, you could easily translate that into online work. Same goes for computer programming, website design, SEO, blogging, or teaching. You could find a way to use the skills you already have to make money online, whether by working as a freelancer, consultant, or even getting hired for a full-time job. And if you’d like to learn tech skills, consider attending a coding bootcamp such as the Flatiron School, Bloc, or Springboard or taking online courses at Codeacademy or Skillcrush. Reflect on what you’re interested in, as well as where your existing skill set lies. And think about how you can apply those skills to make money online. Even though you might have to start small at first, you can eventually grow your online earnings into a full-time income. 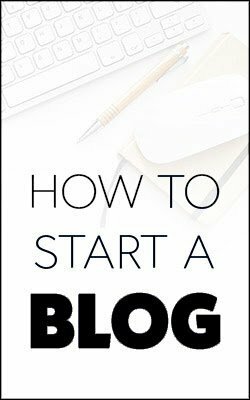 Build a blog or social media page. Once you have followers, monetize it with hosted advertisements or affiliate links. You don’t need to be a tech wizard to be a digital nomad, but you do need to be comfortable working online and communicating with people through digital technology. You might also benefit from creating a website for yourself that advertises your skills and services to prospective clients. And of course, you want to find work that you enjoy and that challenges you to grow. Part of the urge to be a digital nomad rests in the idea that you should have control over how and where you spend your time. So make sure your career choices reflect your interests and passions. For more specific ideas on how you can make money remotely, check out these 27 digital nomad jobs. Along with being location independent, the best digital nomad jobs also allow for some schedule flexibility. When you’re traveling from place to place, you don’t want to worry about being available from 9 to 5. After all, most flights still don’t have WiFi, and you don’t want to stress about missing an important call when you’re 35,000 feet up in the air. Plus, working a typical U.S. schedule could make it tough to travel somewhere in a vastly different time zone, such as Bali or even Europe. Of course, you might have meetings, appointments with clients, or classes to teach at designated times. But having some schedule flexibility will mean less stress when you’re working from a different time zone or flying from one country to another in the middle of the workweek. When you’re a digital nomad, your budget might change a lot from month to month. For one, the cost of living in different places can vary widely. In Chiang Mai, for instance, you could probably get by on $900 or less per month. But in London, you might need to bump up that number to $3,000 or $4,000. NomadList and Numbeo are both useful resources for estimating costs in various destinations. NomadList, by the way, also ranks cities on other factors, like prevalence of WiFi, safety, walkability, and fun. Along with taking cost of living into account, you might also have to manage a fluctuating income. When you freelance, for instance, your earnings could change from month to month. You’ll need to adjust your budget accordingly, as well as choose a destination that makes sense for your income. When you’re just starting out as a digital nomad, for instance, Southeast Asia might be a much more feasible place to live than Paris or Positano. Being a digital nomad comes with a lot of freedom, but it also often comes with a lot of responsibility, too. In addition to taking control of your schedule and work, you’ll also need to be proactive with your personal finances. Having the opportunity to be a digital nomad is a privilege many people don’t share. It means you were born in a country that makes it easy to cross borders, while still being confident you can return home whenever you want — something many don’t get to experience. If you’re planning to move between countries, you’ll need a current passport, as well as any visas required by your destination country. Some mandate that you submit paperwork and visit embassies before you depart. Other countries let you purchase a visa on arrival, but you might need to do so in a certain currency (sometimes they require you to pay in USD, rather than the local currency). You must also be cognizant of how long you’re allowed to stay in each place. So far, Estonia is the first country discussing a visa for digital nomads, which could launch in 2019. This visa would let you stay in Estonia for a year, as well as visit other countries in the Schengen area for up to 90 days. As work becomes even more digital and remote, perhaps other countries will follow suit! Once you’ve started making money online and gotten your travel documents in order, your next step is to make travel plans! If you’re living in an apartment, you might need to find a sublettor to take over the rest of your lease. Many digital nomads give up their home base (and sell some of their possessions) so they can stay on the go and travel light from one temporary home to another. Others choose longer-term stays before moving on to a new place (visa-allowing). Whatever your style, you’ll need to set aside some time for coordinating plans. 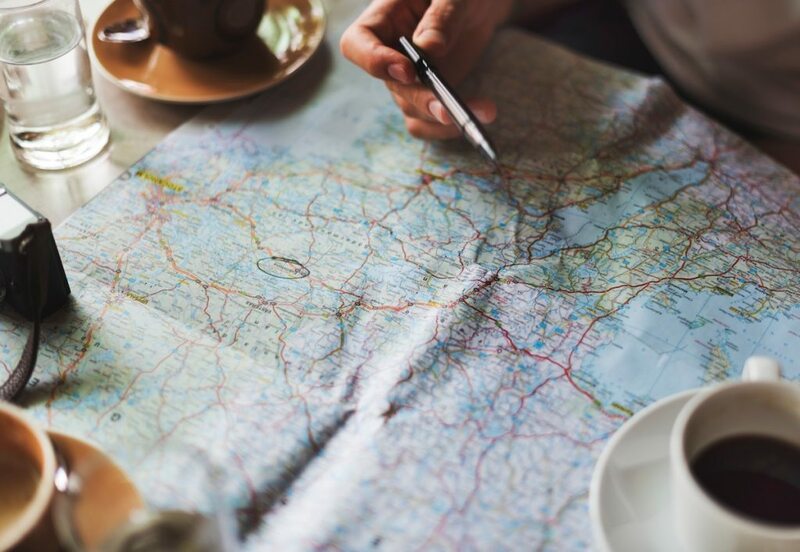 This involves researching a new place, estimating costs of travel, and finding accommodations that meet your needs (e.g., that include a workspace and fast WiFi). You might also consider joining a coworking space in your destination. Not only do these give you a quiet place to work with strong WiFi and unlimited coffee, but they also give you the chance to meet a community of like-minded travelers. You might find a local coworking space, or you could join an international coworking space with locations all over the world. Although working as a digital nomad allows for incredible freedom, there could be some downsides to consider. For one, you’ll likely be away from friends and family for long periods of time. You might miss certain events and celebrations, and the people you grew up with might not understand (or support) your lifestyle. Plus, you’ll probably have to sacrifice the comforts of home and get used to living on less. After all, you’re not going to carry your couch or Casper mattress around with you when you travel. In a sense, you’re choosing experiences (and the discomfort that often comes with travel) over material things (and the comfort that comes with staying home). Finally, be prepared to adapt to new cultures, languages, and ways of living. Although voyaging into the unknown can be thrilling, it can also be tiring and frustrating at times. You’ll need to find ways to keep up your energy and take care of yourself mentally and physically through the ups and downs of travel. 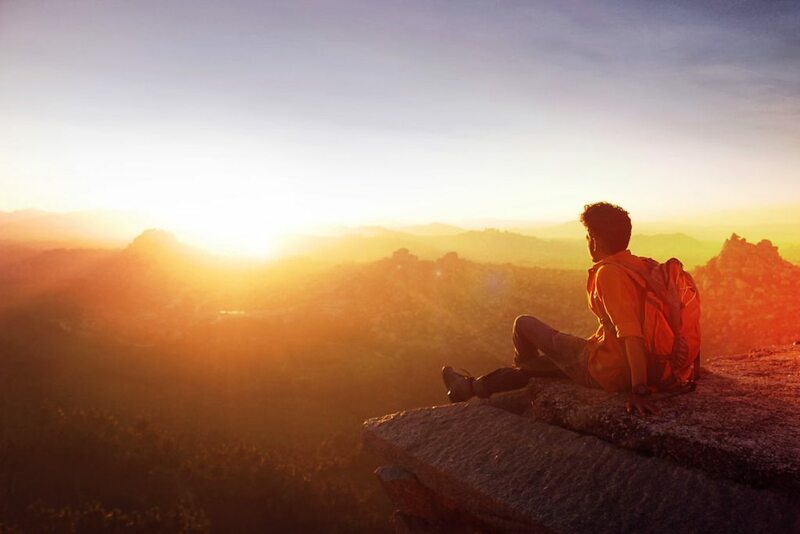 Of course, the trade-off for these challenges is the freedom to explore the world, have adventures, meet inspiring people, claim dominion over your lifestyle, and have unforgettable experiences. And you’ll feel empowered knowing you can make an income and support yourself with your skills, wherever you are. If you’d rather not deal with the headaches of travel planning, consider one of these 10 work and travel programs that take digital nomads all over the world.